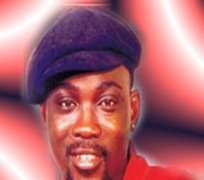 Q: Wasiu Alabi Pasuma, you have about four nominations in the AMEN awards. What are your expectations? A: I am not expecting less than two awards out of the four categories I am nominated for because I know I have worked hard and this is time for me to reap the fruit of m y labour. I am aware that part of the decisions will be made by fans through SMS and I know I have made them proud. Q: Which of the categories are you confident of winning? A: I don't even know what the categories are, but I was told about different categories and one of them is Best Fuji Album of the Year. Q: Apart from its wide acceptance, your album, 'Maintain and Sustain', won the four nominations in the AMEN awards. What was on your mind when you were producing the album? A: You know I work closely with my team of producers and together we did the album. All I can say is that the album is widely accepted as you said rightly and in high demand. Q: What is your impression about the nomination of local producers? A: That will encourage others never the less. They also need to be focused. Q: You just returned from a trip to Europe. Which country did you visit there? A: Yes, we visited Austria, Holland, Italy and Spain. Actually, I had been to Holland before but it was my first time in Austria and Italy. Q: It was alleged that you ran out of the country because of your affiliation to a political party? A: No, people only have a misconception about the issue because my promoter abroad called me and informed me that my first show was slated for 13 April, meaning that I had to leave the shores of this country on or before 11 April, while the general elections started on 14 April. So, you can see that they had a wrong impression about my trip to Europe. It's not possible for me to abandon my job for partisan politics. Moreover, I am not a politician just as my fellow musicians would not expect me to support the parties they belong to. My major concern is about supporting whoever wins at the polls. My aspiration is to move Lagos State forward. Q: Do you support musicians getting involved in party politics? A: Yes, they see us as praise singers who promote them because they believe that the people will accept them based on what we sing about. Now that a winner has emerged, I want to enjoin others to support him in making Lagos a better place. Q: Now that you are back, what are you working on? A: We are rehearsing now and soon, we will be coming out with another hit album. Q: Is it a double? A: Yes, the album is going to be a double package. Q: Are you giving the album to the highest bidder this time around? A: I just do what I know best for my fans. I don't make albums for money but if money comes, all is well and good. Q: Do you have any title for the album yet? A: No, not yet. Maybe soon, but I want my fans to keep their fingers crossed. Q: You enjoy globe-trotting but can you tell us some of the investments you have? A: I have no other business than playing fuji music. I don't invest in any other business than fuji.music.